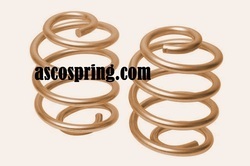 Asco Springs precision-engineered pigtail spring are available in various shapes and sizes. These are manufactured from quality material that is procured from the reliable vendors of the industries. Manufactured at par with the domestic & international standards, the Pigtail springs are ideal for a longer usage and ensure durable finish standards. Further, these are available at industries leading prices. In a short span of time, we have become one of the leading Pigtail Coil Springs suppliers of our domain. We offer a dimensionally accurate assortment of Pigtail Coil Springs which can be customized as per the clients requirement. These Pigtail Coil Springs are of superior quality and are widely utilized in a trampoline as well as circuit breakers. Our product-line of Coil Springs provide unmatched resistance to various compressive forces and are preferred for displaying high tensile strength and anti-corrosive characteristics. 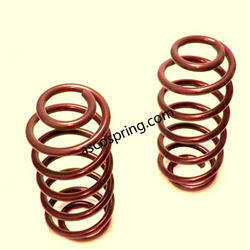 We are a prominent manufacturer of wide range of high quality Metal Coil Springs. Metal Coil Spring products are designed with the help of superior quality raw material secured from some of the genuine vendors of the industry. Metal Coil Springs products are in compliance with the international quality standards.Our valued clients can avail these products from us at industry leading prices. Outside dia: upto 500 mm. 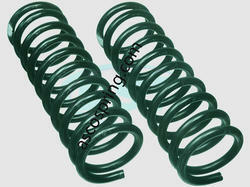 Looking for Pigtail Spring ?